Selected works from the successful “River Reflections” Mokelumne River Arts Project will have a final showing in the AmadorArts Gallery in Sutter Creek for the month of April. The display will feature the art that best represents the project’s mission of making the public aware of the value of the Mokelumne River and the vital on-going need for water conservation. ​​​An open-to-the-public reception to honor the River Reflections project will be held Saturday, April 4, from 3-6 pm during which complimentary refreshments will be served. 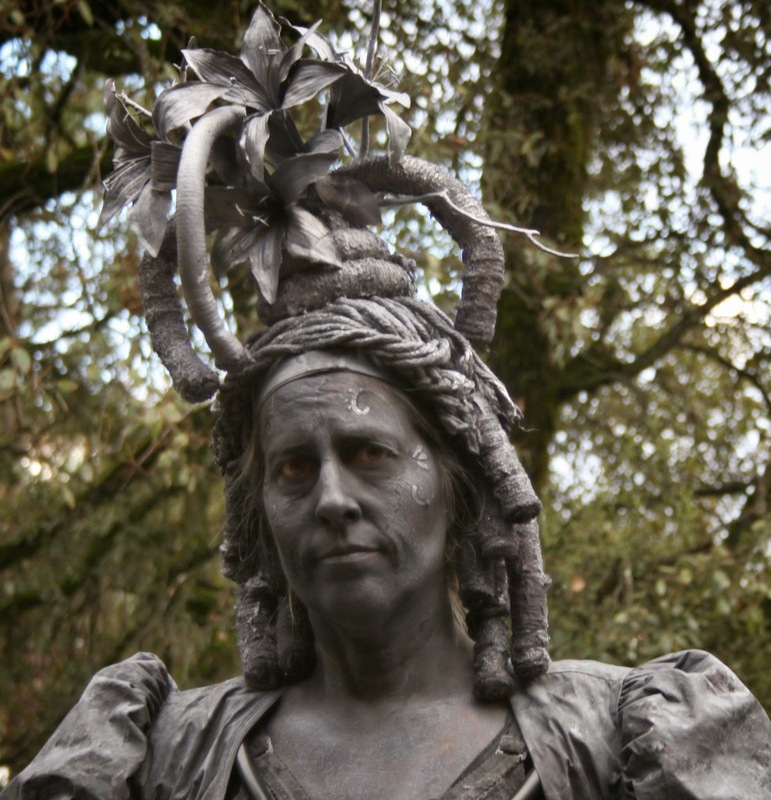 Performance artist Leslie Vasquez will be present and will also walk around Sutter Creek as a living statue between 3 and 5 pm. This event coincides with 1stSaturday Art Trek, which has expanded. On April 4th the Amador Art Trek welcomes new galleries and business partners to the event which is meant to draw both residents and visitors to explore the local art scene. See a new list of participating locations at www.amadorarts.org and check back there for the monthly special 1st Saturday receptions. The current show features artists in all disciplines from both Amador and Calaveras counties who were juried into the original River Reflections exhibition that travelled from Sutter Creek to Oakland and Mokelumne Hill. It will continue until April 28th. AmadorArts Gallery, located at 11-A Randolph St., Sutter Creek, has the following hours: Noon-4 pm Saturdays and Sundays. Attempted hours on weekdays are 9-2 pm; call to confirm. Closed on Wednesdays. Phone: 209-267-9038. CAPTIONS: Selected works from the successful “River Reflections” Moke River Arts Project will have a final showing in the AmadorArts Gallery: Art by (from left to right), Tyler Childress, Ruth Andre, Randy Klassen. The amazing home of Arlo ‘Chip’ Lusby II, normally a venue for world class ragtime piano concerts, will instead host the one of the best bands to emerge from Amador County. Now in their 13th year and voted “Best Band in Amador” for the past three years, Over the Edge enjoys a sterling reputation as one of the most innovative and original bands to ply their musical trade. Wineries and their high-end clientele love the mellifluous set list of songs this band continuously cranks out … from a preponderance of original songs to their unique interpretations of standard covers. Come see why their loyal fan base supports them, year in and year out! Tickets are $20. in advance (you can RSVP to get this advance price and bring your check or cash with you) or without an RSVP $25 at the door. Attendees are encouraged to bring a dish as a potluck contribution. Chip has very generously offered complimentary red and white wine to all who attend which is included in the cover charge. Please call or email Chip Lusby: 209 267.8193 or email: sutterchip@yahoo.com . We hope to see you there. Please let your family, friends and music lovin’ associates know about this concert. “April Showers Bring May Flowers.” That is the theme at Sutter Creek Gallery for the month of April. Rather than featuring a single artist, all of the cooperative members have been challenged to create a piece of art related to this theme. Group exhibitions will alternate with shows highlighting individual artists. Gallery members create paintings in all media, produce photographs of wild and domestic animals as well as local scenes, fabricate jewelry from handmade beads and natural materials, turn gourds into works of art, and so much more. Come see the unique pieces created by these talented artists. The gallery will hold a reception to celebrate the theme on Saturday, April 4, from 4 to 7 p.m., in conjunction with the region’s First Saturday Art Trek. Floral arrangements will be on display and for sale at this time. Created by local florists and gallery artists, the arrangements will interpret various artworks on exhibit. 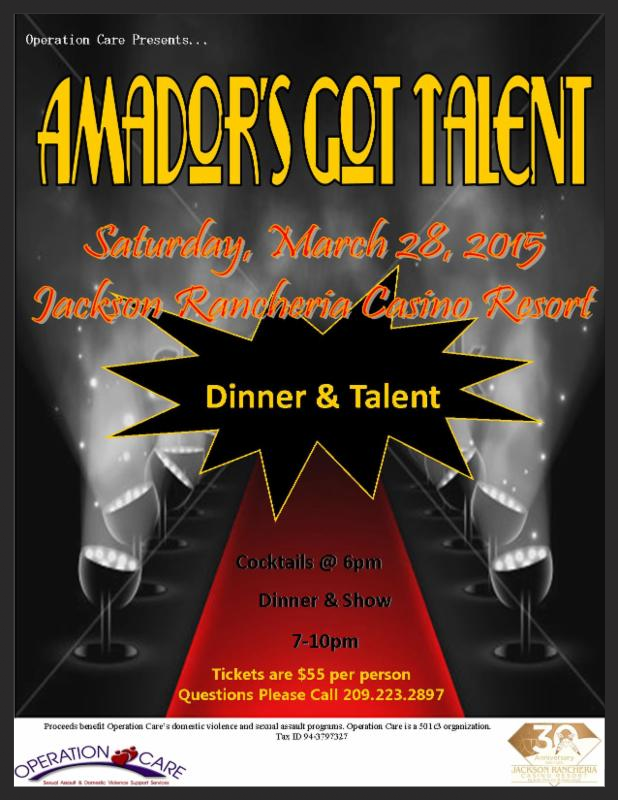 Amador's Got Talent: Reserve Your Seat by Tuesday, March 17! Final date to reserve your seats is Tuesday March 17th! Gifted has invited artist Charleen Tyson to apply her unique painting techniques to a 1924 Gulbransen piano in residence as a fundraising effort for AmadorArts. A raffle will be held offering a lucky ticket holder the chance to win the one of a kind piece. 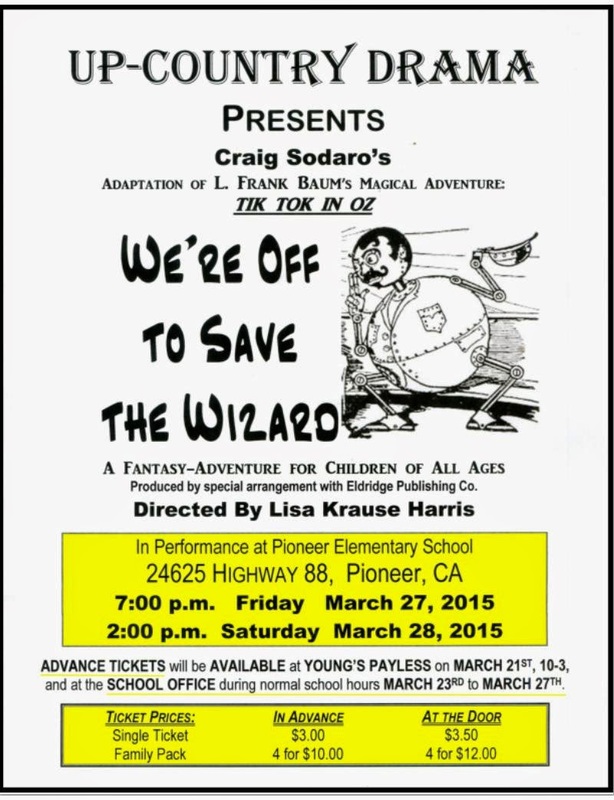 Gifted's proceeds from the ticket sales will be donated to AmadorArts to help support their continuing efforts to promote the arts in Amador County. Follow our blog for updates on the project's progress! Charleen Tyson is a treasured local artist that has lived in West Point, California since 2002. Her whimsically painted furniture and domed pedestals on display at Gifted were inspired by the work of New York company, MacKenzie-Childs. Charleen says, “Loving their products but not loving their prices I decided to try to do something similar myself. The result is just FUN!” Charleen, who has been showing at Gifted since the first year they opened, also designs two lines of unique jewelry made from semi-precious stones and Chinese gaming tokens. Gifted is a one of a kind shop that exclusively carries locally made and American manufactured gifts and goods. In addition to Charleen Tyson, some of the artists and artisans showing at Gifted include Rosemarie Silva, Leon and Cheryl Parkey and Christy McAdams. The shop is operated out of the ground floor of the majestic three story Odd Fellows building on Historic Jackson Main Street. Owners, Jeannette McDonald and Terry Scott feel strongly about supporting local needs where they can and have raised over $1,500 for the Interfaith Food Bank with sales of their limited edition shopping bags. They are excited to help raise funds for an organization like AmadorArts that speaks so directly to the spirit of their business. AmadorArts, the Amador County Arts Council, is a non-profit arts organization dedicated to encouraging, supporting, and promoting the arts in our schools and community. In order to nurture the cultural vitality of Amador County, they offer arts education programs, free concerts, community events, gallery exhibits and arts mixers throughout the year, in addition to providing resources and opportunities to local artists. 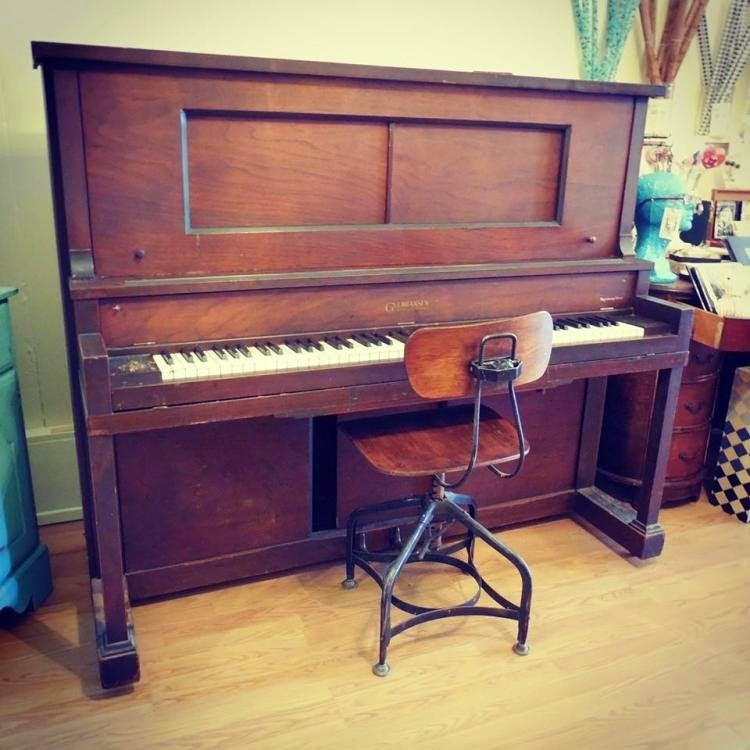 Tommie Flint is the kind soul that donated the piano that is to be painted. None of this would be possible without her generosity. 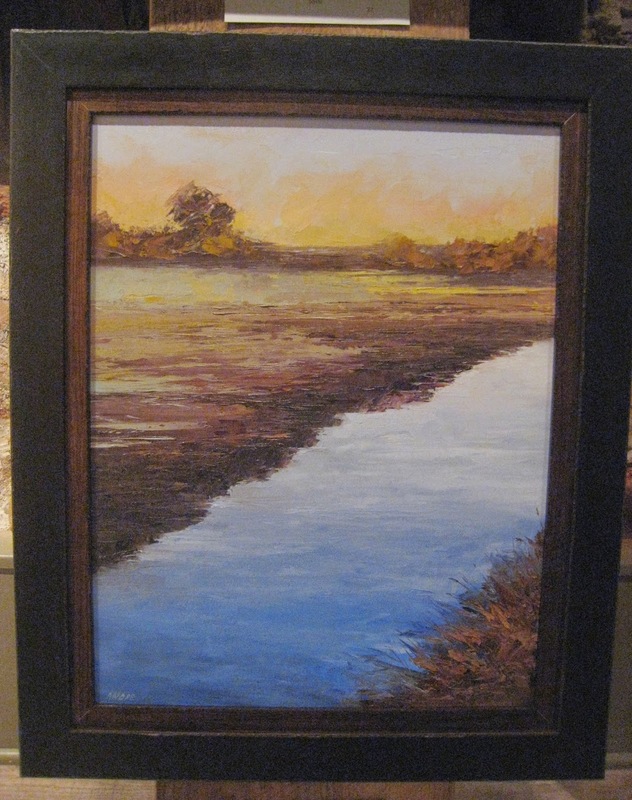 Selected works from the successful “River Reflections” Mokelumne River Arts Project will have a final showing in the AmadorArts Gallery for the month of April. Because of size limitations in the “tiny gem of a gallery,” located in Sutter Creek on Randolph Street, the display will feature the art that best represents the project’s mission of making the public aware of the value of the Mokelumne River and the vital on-going need for water conservation. An open-to-the-public reception to honor the River Reflections project will be held Saturday, April 4, from 3-6 pm during which complimentary refreshments will be served. Leslie Vasquez will mingle among the guests as a living statue between 3 and 5 pm, without the water element. This event coincides with 1st Saturday Art Trek, which has expanded. On April 4th the Amador Art Trek welcomes new galleries and business partners to the event which is meant to draw both residents and visitors to explore the local art scene. A new tri-fold brochure has been created to act as a guide and can be found all around the county. See a new list of participating locations at www.amadorarts.org and check back there for the monthly special 1st Saturday receptions. 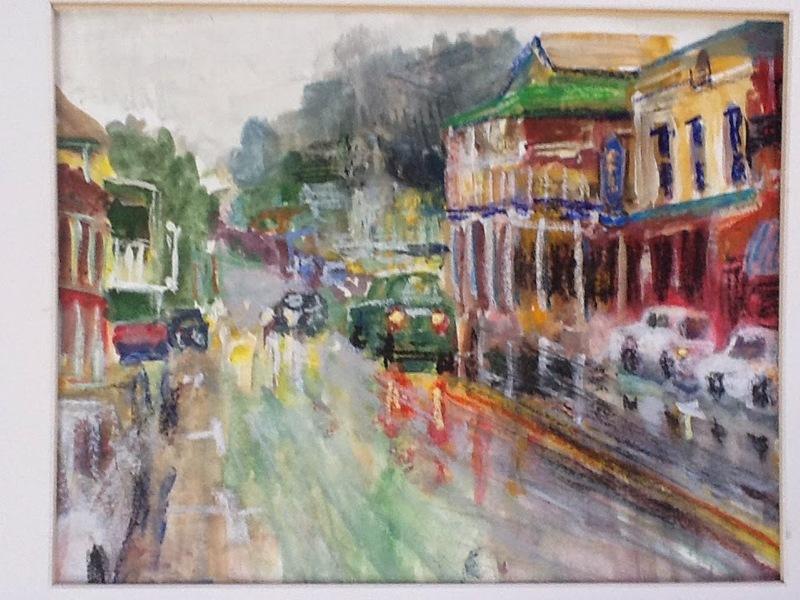 The April show will features artists in all disciplines from both Amador and Calaveras counties who were juried into the original River Reflections exhibition that travelled from Sutter Creek to Oakland and Mokelumne Hill. It will continue until April 28th. AmadorArts Gallery, located at 11-A Randolph St., Sutter Creek, has the following hours: Noon-4 pm Saturdays and Sundays. Attempted hours on weekdays are 9-2 pm; call to confirm. Closed on Wednesdays. Phone: 209-267-9038. 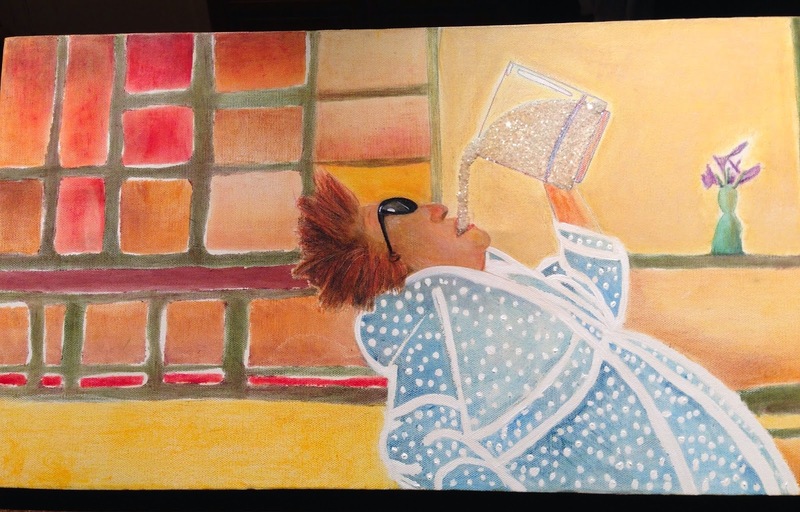 Mark your calendar for Thursday, April 23 for the time to view a wildly creative cross-section of art created by local students during the April Arts Networking Mixer from 6 to 8 pm. Transformed into an art gallery will be Thomi’s Banquet Room in the Amador Plaza in south Jackson. Student music will be featured too. Complimentary appetizers and tasty waters will be served, and wine by the glass will be available. The event is free to AmadorArts members and student artists; $5 for everyone else. This is usually one of the most well-attended mixers. Be amazed by our youth’s creativity! You may ask, why is art important? One answer is that kids feel a sense of emotional satisfaction when they are involved in making art. They have control over the materials they use, making decisions about form, color, etc. Building self-esteem is another result, because students are given opportunities to express what they are thinking and feeling. 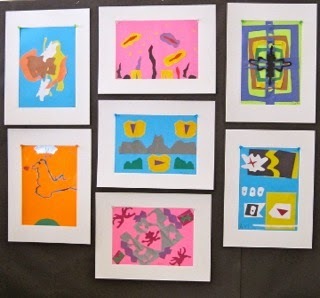 One of the primary goals of AmadorArts is to provide some type of Arts Education to every elementary school classroom. A comprehensive program has been developed by Sue Lagomarsino, Chair of Arts Education, that that includes a variety of short workshops given by professional artists, as well as longer residencies by trained art and poetry teachers. The edu-performances by the acclaimed B Street Theatre to all schools is another component looked forward to every year by both students and teachers. Visit www.amadorarts.org for all the latest arts-related info in the region. Phone 209-267-9038 with questions. JAZZ HARPIST MOTOSHI KOSOK will perform a concert at Skunk Hollow Victorian Gardens this Saturday evening, 7pm. $20 by early reservation, phone: 209-267-8193 or email: sutterchip@yahoo.com. $25 at the door. His wife, Terra, a registered Thai Massage Therapist, will be available .... "and I would be happy to offer my services while I am in town". If you would be interested, let me know and she'll get in touch with you. 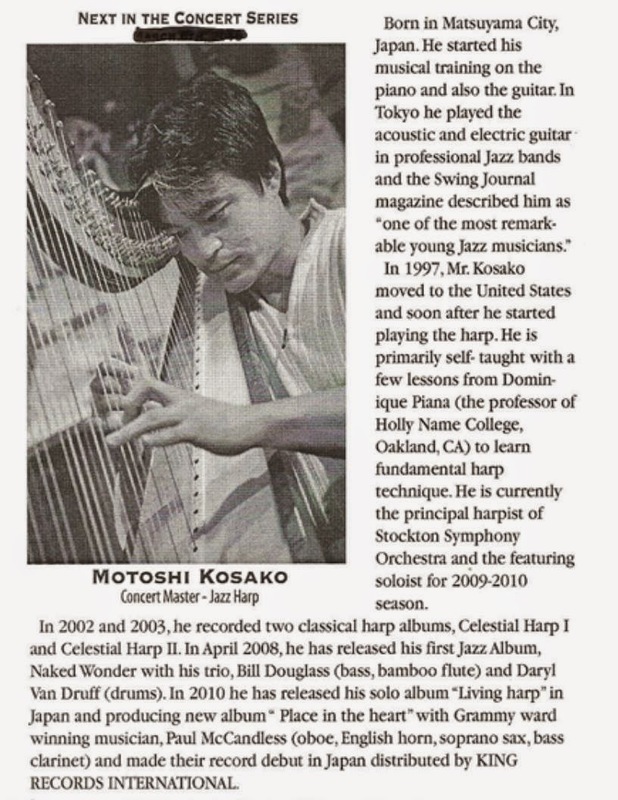 Please see article below for more information on Motoshi and his music; what he can extract from his harp is nothing short of incredible! David Camardo of Sutter Creek has been an artist for over 50 years, but the works he’ll be exhibiting at AmadorArts Gallery for the month of March will be unusual pieces that as he says, “will stretch people’s imagination, no matter what.” The public is invited to meet him and discuss his thought-provoking art at the Artist’s Reception at 11-A Randolph St., Sutter Creek on Saturday, March 7, between 3-6 pm, coinciding with the monthly 1st Saturday Art Trek. The show will continue until March 31st. The theme of slight-of-hand magic has long penetrated Camardo’s art. He explains, “With magic, something has to appear from nowhere and then disappear before your very eyes. So for me, life has been a live performance of Art and Magic." As a painter, Camardo first produced work in the Bay Area, then Provence, France, and eventually in Amador County. He created 30 paintings alone of the town of Volcano, some of which will be in this exhibit, alongside oil paintings on the Theme of Magic. 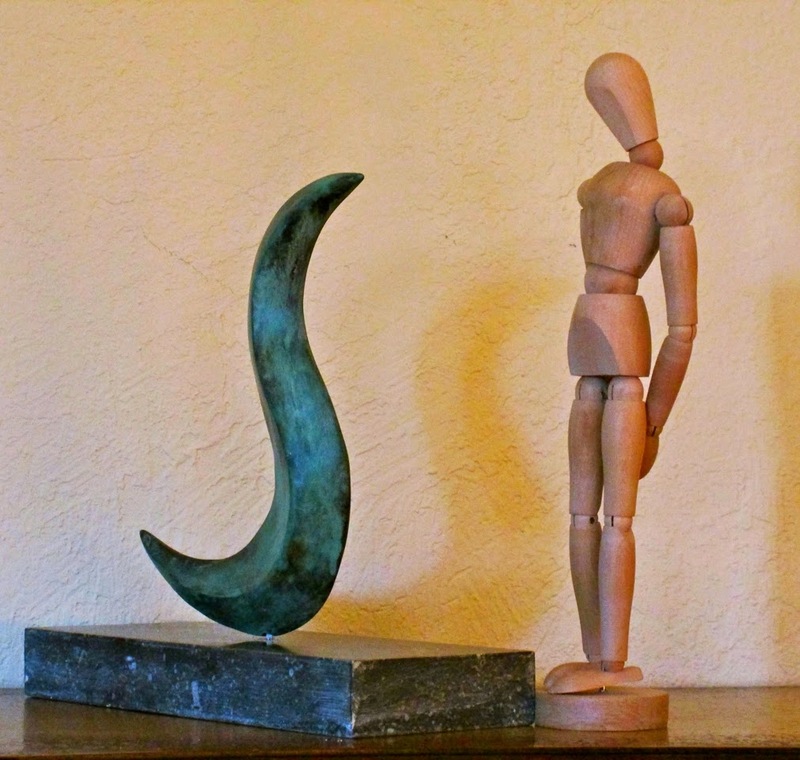 As a sculptor, Camardo has created in nearly every medium. In the 1970s when his day job was working with horses in Woodside, he used a barn for his sculpture studio. For this AmadorArts exhibit he will unveil “Redd Stixx.” Camardo explains that they symbolize our relationship to Mother Nature. Other work will include his most recent bronze and aluminum sculptures. Amador County has attracted a treasure trove of eclectic artists, and it’s important that we acknowledge them sooner than later! Their unique perspectives are worth exploring. A special cameo appearance by the new 24-member Amador Community Chorus will take place on Sunday, March 22 at 2pm at the Amador Senior Center. Under the direction of bandleader Steve Chambers, the new group will share the stage and plans to debut 4 to 5 songs (to include “Mack the Knife”, “Blue Skies”, and at least two more selections). 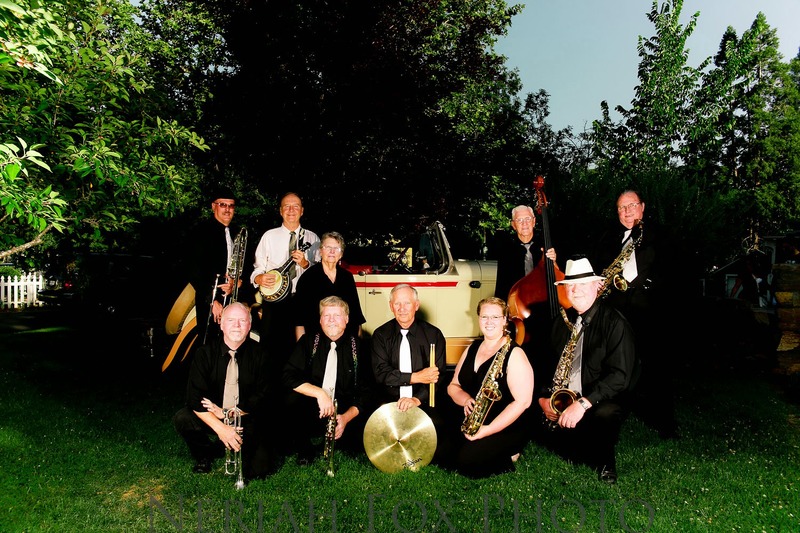 Re-appearing at the Center for the bulk of the program will be the Speakeazy Jazz Orchestra, a 10-piece dance band playing authentic arrangements from the 1920’s, 1930’s, and “1940’s” - The “Great Gatsby Era” and “The Swing Era” - using dance band instrumentation of six horns (saxophones, clarinets, trumpets, and trombone) and four rhythm (banjo, piano, bass, and drums). The band will feature vocals from instrumentalists Chrissy Sleigh, Arlene White, and Eric Johnson. Newest tunes added to the repertoire are “Give Me Five Minutes More”, “To Each His Own”, “You’re Driving Me Crazy”, “Tea for Two”, and “September in the Rain”. A “Sing-along with SJO” book is available (free) with the lyrics printed for some of the band’s tunes for the audience to sing along if they wish. This will be the first chance to see the band locally in 2015. 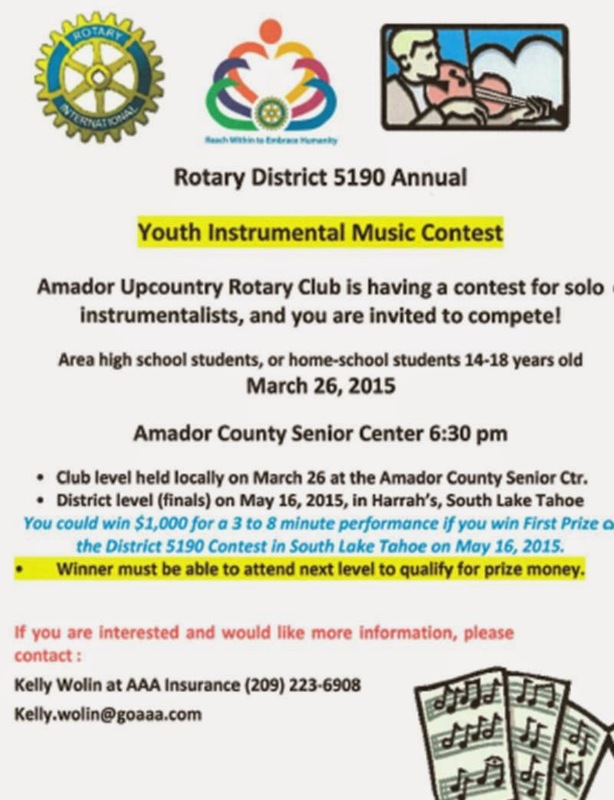 There is a $5 admission charge at the door to help offset the use and expense of the Amador Senior Center. Cookies and coffee are provided for your enjoyment (or if you would like to bring a dessert to share, that would be most welcome as well). The Senior Center has easy parking and access…..look forward to a fun and relaxing afternoon enjoying music of the past…set your calendars back to the 1920’s, 30’s, and 40’s! Classic cars and authentic attire are always welcome! Doors open at 1:30pm. Visit Speakeazy Jazz Orchestra’s updated website at www.speakeazyjazz.com for more information. What happens when a local playwright creates a comedy, and local actors have fun turning it into a mystery that unfolds before your eyes? A rollicking good time while making money for the non-profit AmadorArts. Last year, the inaugural event sold out, leaving many feeling culturally neglected. 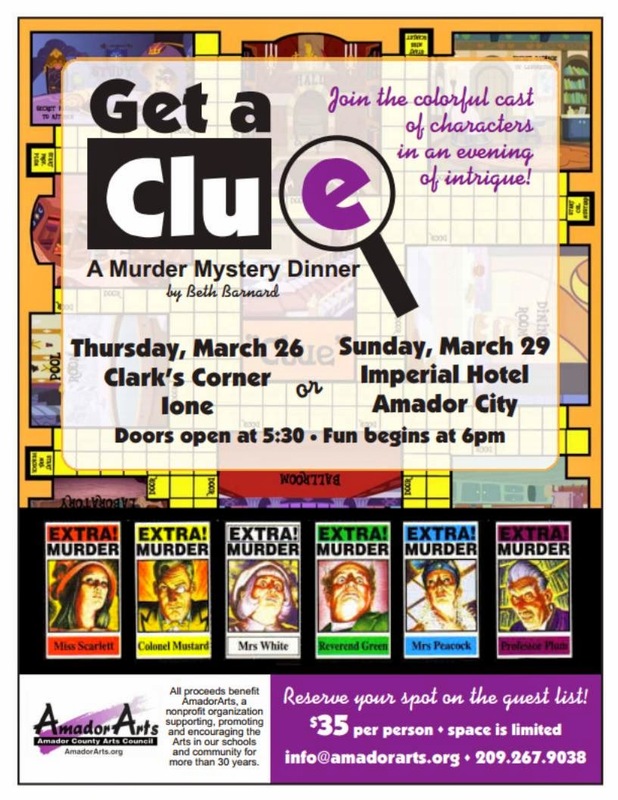 In late March, you’ll have the opportunity to be at two Murder Mystery Dinners. One will be on Thursday, March 26, at Clark’s Corner in Ione, and then, on Sunday, March 29, at the Imperial Hotel in Amador City. At both, doors open at 5:30 pm, with the festivities beginning at 6:00, which include Family Style Spaghetti Dinners, no-host bar, a raffle, and a hilarious mystery unraveling from all corners and secret spaces of the dining room. Beth Barnard has put her scriptwriting and directorial skills to work with a colorful acting lineup of local celebrities, including Board members of AmadorArts and their special thespian guests, or are they just hams? “Get a Clue!” is the title, and well, you have to be there to see what that really means. Dum-de-dum-dum. Tickets are $35 each and space is limited, so it’s advised to make reservations quickly. Contact AmadorArts to reserve your place on the guest list at info@amadorarts.org or phone 267-9038. AmadorArts is a 33-year-old non-profit arts agency serving the county with arts education, free concerts, promotion of visual and performing artists, and much more. It works in close partnership with the California Arts Council, a state agency. PHOTOS: 1.) 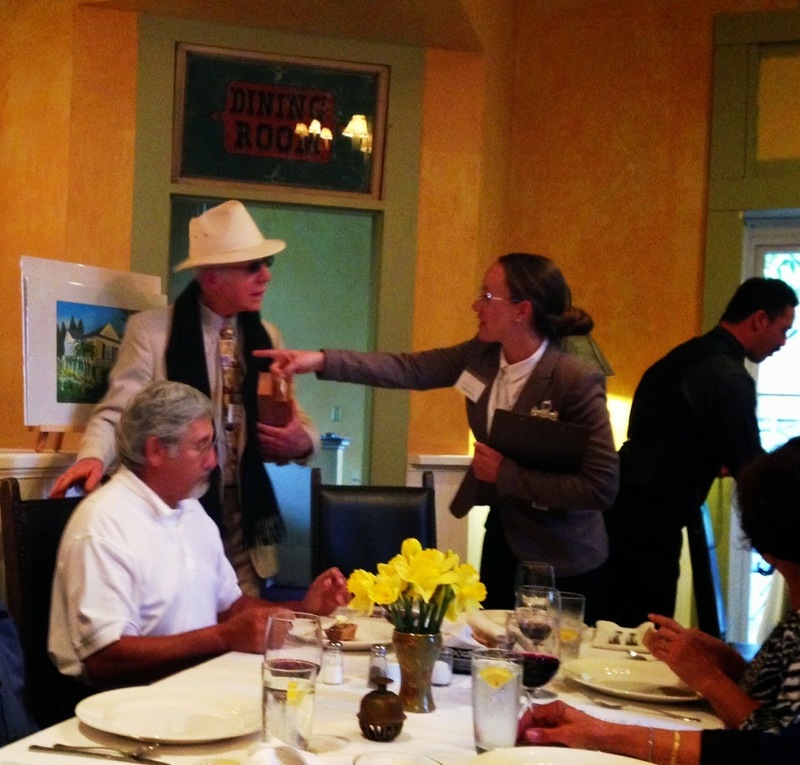 Shown here at last year's Murder Mystery Dinner are Giles Turner and Terra Forgette as actors figuring out the culprit. 2.) 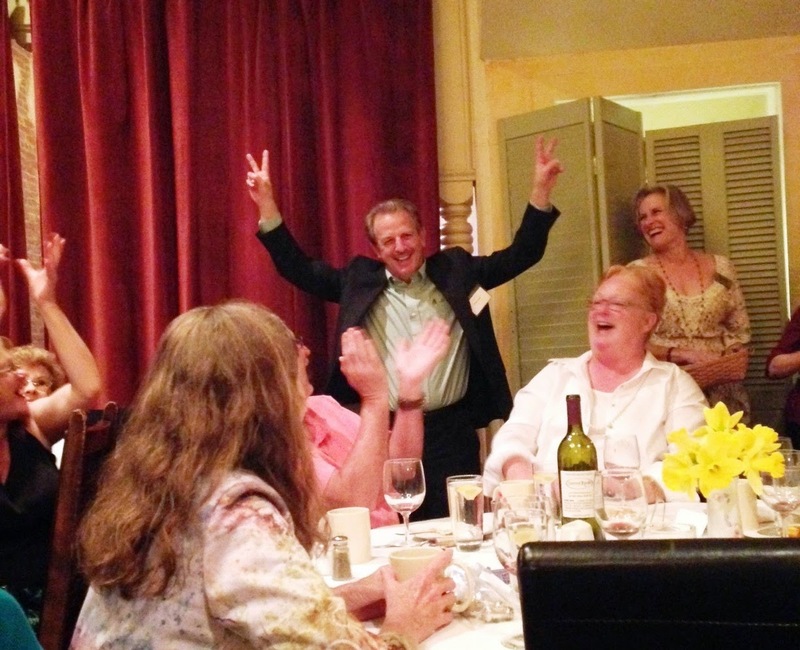 Wayne Garibaldi was a key suspect in last year's AmadorArts Mystery Dinner.